No. 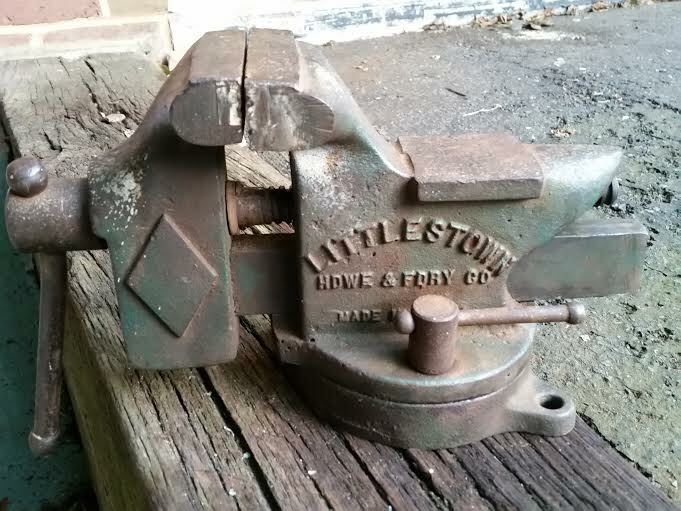 400 Littlestown Bench Vise getting ready to be refurbished. - The Iron Forge Fire Blackmithing Forum. Here's the latest to find it's way out of someone's basement or garage and to be put back to work in my shop. It's a medium size Littlestown No. 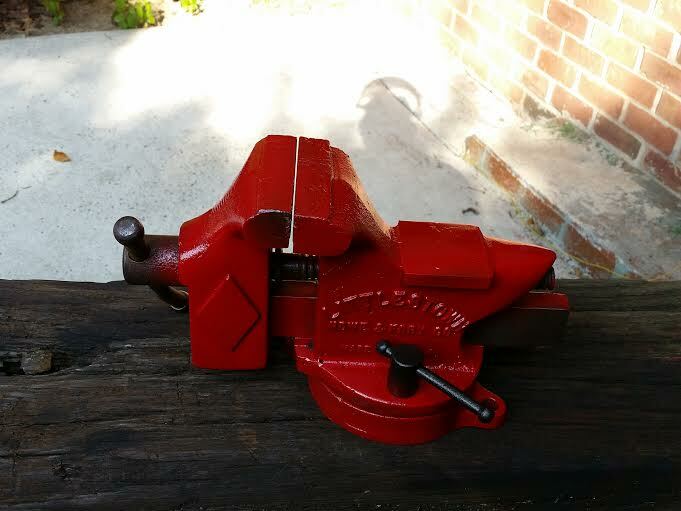 400 bench vise. Needs the correct bolt in the bottom to swivel and the levers need to be straightened out. Otherwise and quick coat of paint and it'll handle the small jobs. "Bonus" It has replaceable 4 1/2" jaw faces. Might get a set to make rivets. Should make for a good vice. Got it all cleaned up. Now I need to clean a place on the bench for it. Smoothed the mating surface for the swivel and got proper fitting bolts to keep it together. I also smoothed the work area on the horn. Not a bad junk store find and a little elbow grease. Looks really good. Almost too good to use! I have the same vice. 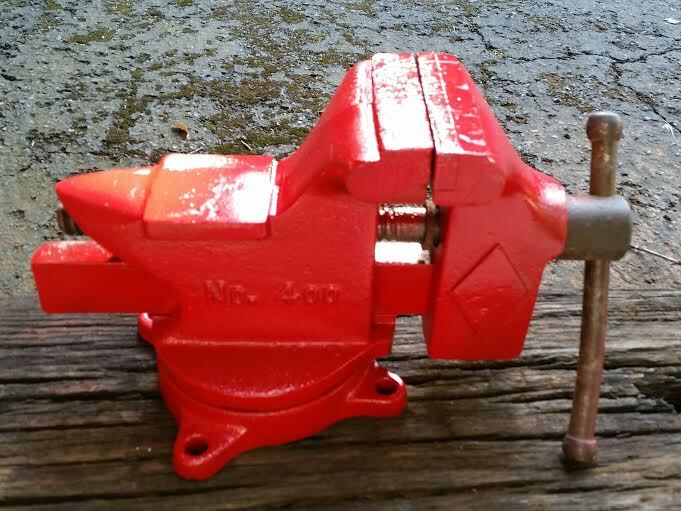 Do you know where I can get replacement vice jaws for it. Internet searches have not turned up much. I would check msc.com or grainger to see if they have jaws that could be adapted. Ok I will check them. Many thx for the feedback.